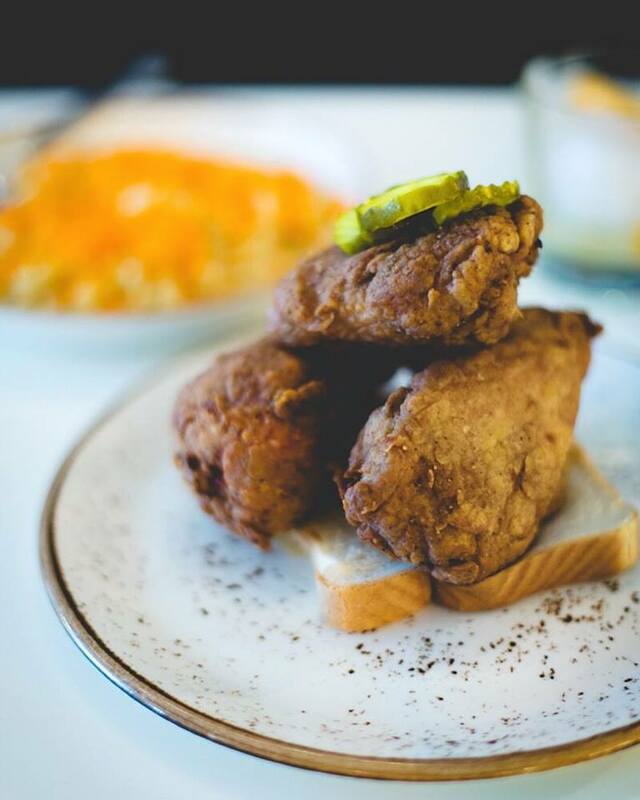 If you're an impatient person then this may be the hot chicken for you. Most of the hot chickens I have eaten tend to give you a slow burn. But not the one from Parts & Labour. You take one bite and instantly your mouth is on fire. Matty Mattheson, chef and owner of Parts & Labour, doesn't hold back on the heat. Unlike the Nashville hot chicken where it looks hot, the one Chef Mattheson serves looks quite innocent. This is a tasty fried chicken if you can handle the heat. I had to cool my mouth down with spoonful of mac n'cheese. Oh also, order the mac n'cheese, it's topped with crushed Cheetos.